Youth will be served fine wine! 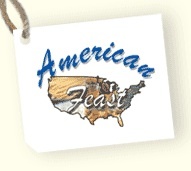 Our friends over at American Feast are giving us props in their recent entry “Youth Will Be Served Fine Wine.” I like the tenor of that particular phrase… sounds so very entitled, like “Miss Moneybags will summer in Geneva this year” (or maybe “it puts the lotion in the basket, it does this whenever it’s told”). The piece refers to a study by the Wine Market Council, which suggests that our generation offers “the wine industry the kind of growth potential not seen in more than thirty years.” Well done, kids. Keep drinkin’, and we may just come out of this on top. Also from American Feast: I want all of us to get together one night and drink a round (or three) of Midnight Smash cocktails. I’ll bring the glassware and the blackberries… now all we need is six or seven Winos to bring the rest of the arcane ingredients.